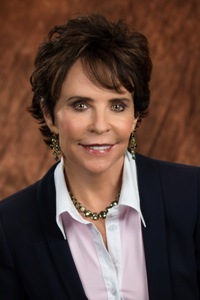 In 2004, businesswoman Julie Ann Wrigley made a gift to establish the Global Institute of Sustainability at Arizona State University. Today, the university is a world leader in teaching, discovery and solutions in sustainability, a field that was virtually unknown before Wrigley’s gift. In recognition of her transformative investments – now totaling $50 million – the university in 2014 renamed its sustainability institute in her honor. The Julie Ann Wrigley Global Institute of Sustainability is the hub of ASU’s sustainability initiatives. The ASU Wrigley Institute advances research, education and business practices for an urbanizing world. Its School of Sustainability, the first of its kind in the U.S., offers transdisciplinary degree programs to create practical solutions for social, economic and environmental challenges. Julie Ann Wrigley has dedicated her lifetime to making meaningful contributions toward sustainability solutions. In 2004, she joined ASU President Michael M. Crow at a gathering of some of the world’s leading sustainability scientists, where the vision for a transdisciplinary sustainability institute emerged. Wrigley believed that ASU, led by Crow, was the right place to make the vision a reality, and she has supported the university with her investments. Watch the video below for more information. Since the early 1950s, when the Association for Applied Solar Energy was headquartered at ASU, through decades of energy and ecology research; from the start of the Center for Environmental Studies in 1972 through its evolution to the ASU Wrigley Institute of today; from the inauguration of ASU president Michael M. Crow in 2002 through the many use-inspired, interdisciplinary initiatives he envisioned – sustainability has been part of ASU for more than half a century. Launched in 2005 and funded through the generous support of Julie Ann Wrigley, the Wrigley Lecture Series brings internationally known thinkers and problem-solvers to ASU to engage directly with students and the larger community in dialogues to address sustainability challenges. ASU’s School of Sustainability was established in 2006 . In June 2007, Julie Ann Wrigley made an investment in ASU to recruit leading sustainability scholar-researchers to fill four professorships. The inaugural Wrigley Chairs are economist Michael Hanemann, former energy executive John Hofmeister, ecologist Osvaldo Sala, and energy systems expert Gary Dirks. The headquarters for the ASU Wrigley Institute is the ultimate in sustainability – a recycled building. Originally constructed in 1964-65 and home to the College of Nursing and Health Innovation, the building was completely renovated in 2007-08 to integrate sustainability features that reduce consumption and waste and enhance the quality of life for students, faculty and staff. The building was renamed in honor of Julie Wrigley in 2011.